Explanation: Dust lanes seem to swirl around the core of Messier 96 in this colorful, detailed portrait of the beautiful island universe. 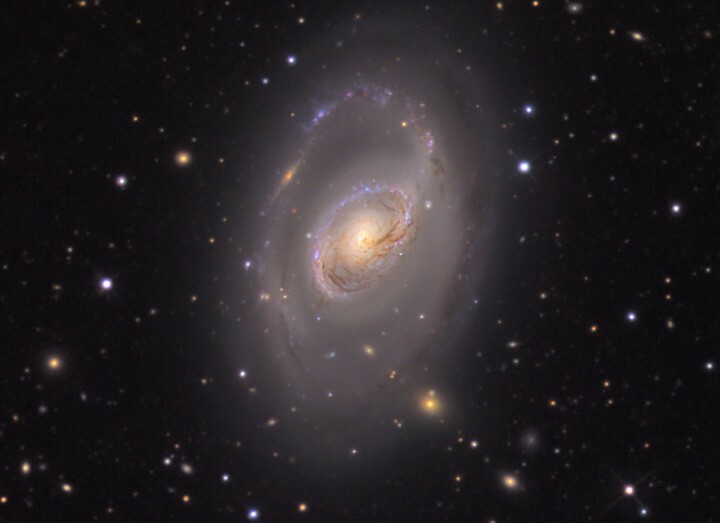 Of course M96 is a spiral galaxy, and counting the faint arms extending beyond the brighter central region it spans 100 thousand light-years or so, about the size of our own Milky Way. 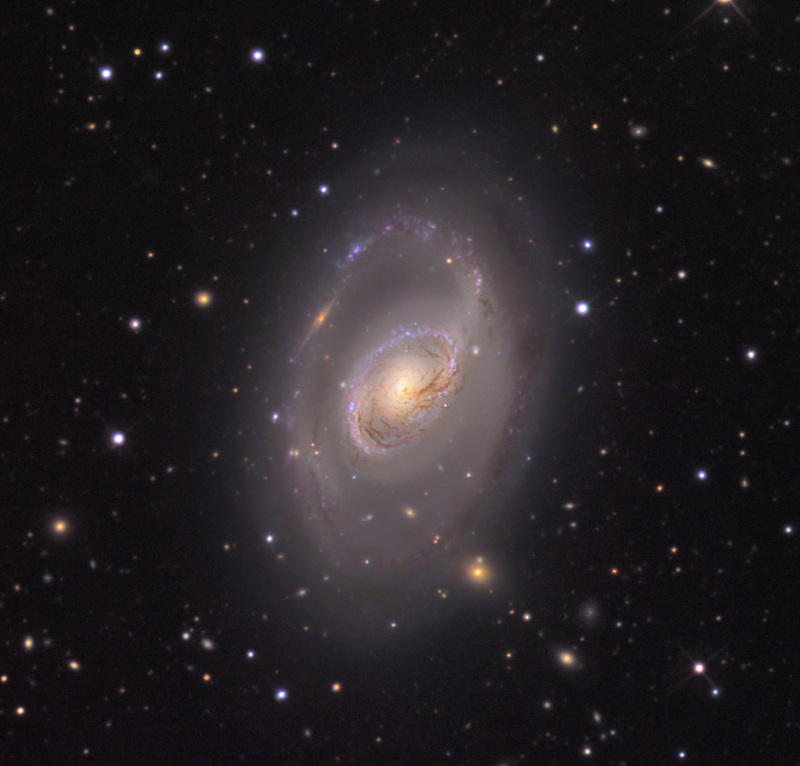 M96 is known to be 38 million light-years distant, a dominant member of the Leo I galaxy group. Background galaxies and smaller Leo I group members can be found by examining the picture, but accomplished astro-imager Adam Block notes he is most intrigued by the edge-on spiral galaxy that apparently lies behind the outer spiral arm near the 10 o'clock position. The edge-on spiral appears to be about 1/5 the size of M96. If the spiral is similar in actual size to M96, then it lies about 5 times farther away.